Countryside’s Vacation Bible School will be held July 9 through 13 and our theme this year is Peace Lab! Our VBS students will explore scripture stories and activities to cultivate and practice peacemaking techniques and skills. VBS is offered for our students in Pre-k through 4th grade (based on the grade just finished this past 2017-2018 school year) and will run from 9 AM-Noon each day, with a little extra time on Friday so that we can share what we’ve done with family and friends! The week of VBS will include games, snacks, crafts, skits, and, of course, Bible lessons! 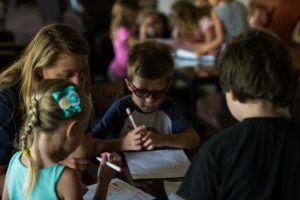 There is always a connection between God and the theme, allowing kids to discover God in a creative way. If you have questions or want to volunteer please contact Rebecca at Rebeccam@ countrysideucc.org. We look forward to teaching your little ones about God’s way of peace, while having fun and building memories! Register for Peace Lab VBS 2018! Want to learn more! Check out past years VBS! 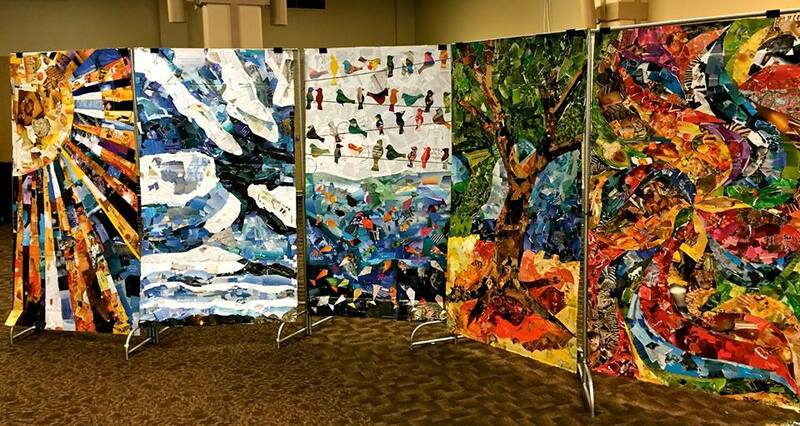 Our VBS theme for 2016 was “In the Beginning…” and we explored the Creation stories of the Old Testament with an emphasis on caring for all of God’s Creation! The VBS leaders were able to create interesting and interactive experiences that covered recycling, composting, and creating and maintaining balance between humans and Creation. Throughout the day, students traveled in small groups to different sites like science, art, cooking, community, snack, and a drum circle! 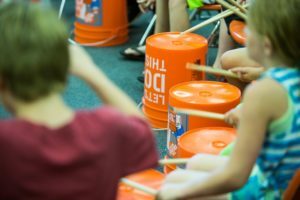 Each site invited the students to experience the story in different ways, encouraging them to deeply engage with the scripture through physical activity, arts, music, environmental stewardship, and food! Our students were invited to bring compostable materials that were contributed to the Countryside compost bins that were provided by the CCC Faith and The Environment (FaTE) group! VBS small groups working on a scavenger hunt. Our days ended in community with prayer, music, and small group discussion of the day’s activities. On Friday, we welcomed the families of VBS participants for a pizza snack and short presentation of the week’s activities. Community murals created by the VBS leaders and students.